I had the opportunity to meet entrepreneurs Stephen & Carrie Fitzwater of Modern Lantern at a Trade Show recently and I was so impressed by their product. 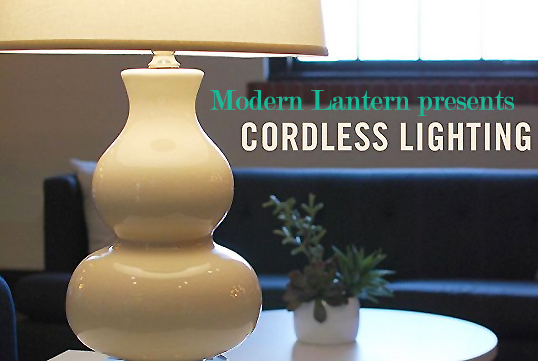 Modern Lantern sells CORDLESS LAMPS that will revolutionize how you decorate! They sell a large collection of cordless lamps in modern designs on their website, but not only that. Modern Lantern also converts vintage and antique lamps to their cordless technology. You will love this brand! 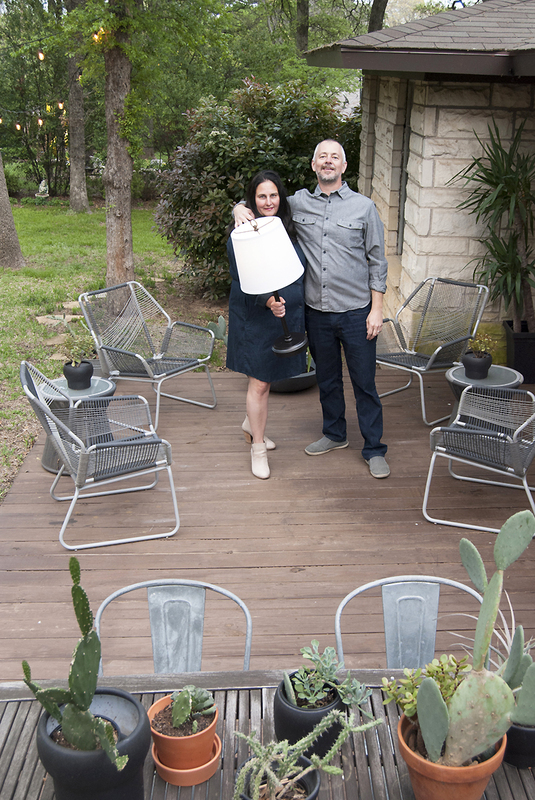 Read on as I interview Modern Lantern‘s owners, Stephen and Carrie Fitzwater, and tour their eclectic mid-century modern home. 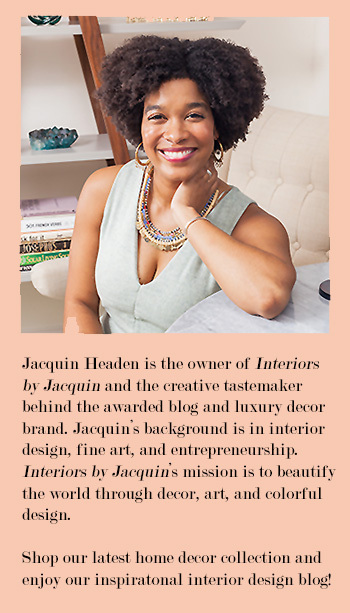 Jacquin: I absolutely love your business concept, Carrie & Stephen! 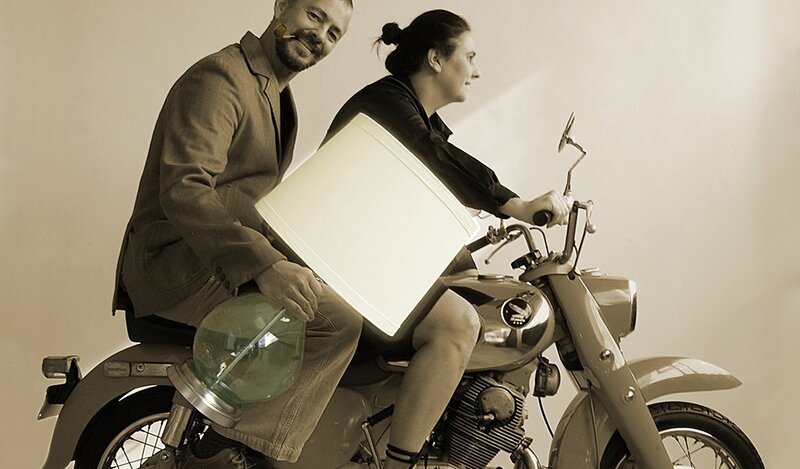 Tell us about what inspired you to launch your cordless lamp company, Modern Lantern. Stephen & Carrie: Thanks Jacquin! Coming from a talented designer that means a lot to us! 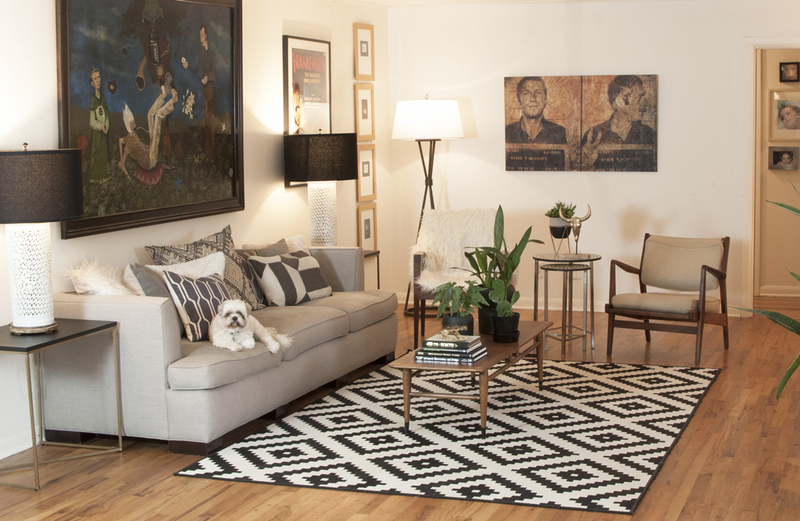 As an interior designer it just kept driving me nuts when I’d do an install and discover no floor plugs for those lamps typically needed in a large, open floor plan living area. I just couldn’t stand placing a lamp that didn’t work on an end table or swapping it our for a floral piece when the plan clearly called for a decorative table lamp. So I just kept bugging my husband (who just so happened to be a product designer;) that this was a product we can and should bring to market. So finally he did the research online and found that lots of people had the same issue and no one was doing a good job of solving that lighting problem. Stephen starting buying components on the internet from various industries to get a prototype that worked well. Once we accomplished that, we filed the patent (we now have several), and went off to China to work with our friend and sourcing agent Johnny, to find the right factories to help us bring in our first container load of cordless lamps in early 2012. Seven years later we keep expanding and improving our line we sell direct on ModernLantern.com. Jacquin: Have you two always been entrepreneurial minded? Stephen & Carrie: I think so?! or at least I’d like to say I think so. LOL. We’ve both done the corporate thing which served us well raising our two boys (now young men) but for the both of us we heavily embraced the Gen X story growing up. Both of us are pretty creative and independent thinkers, and we both even as kids, had our own jobs that we were in control of and that was more inspiring to us than just a paycheck. Jacquin: How would you describe the style of your home and decor? Stephen & Carrie: Our look is pretty eclectic and represents both our personalities. We like traveling, vintage hunting, toys, and modern clean lines but definitely more mid-century than sleek contemporary. We feel our home is pretty warm and inviting. Our four pets seem to like it, they get to live in it more than we do. Jacquin: How was your experience decorating your current home together? Did you create any DIY home decor accents or invest in any vintage pieces? Stephen & Carrie: We’ve had 5 homes since we’ve been married and ALL of them complete redoes, so plenty of experiences there, LOL. Our current home in Fort Worth is a 1950s Austin stone ranch. We loved the sprawling yard, trees and the retro stone but the inside was a mess. My husband hopes this is our last redo! We gutted the kitchen, painted the entire house, inside and out, all new landscaping and my favorite feature is the new deck in the backyard, my husband’s favorite might be his skateboard ramp, which I told him had to look ‘Pinterest worthy’ if going in our backyard (laughing). To decorate, we change stuff around pretty regularly. 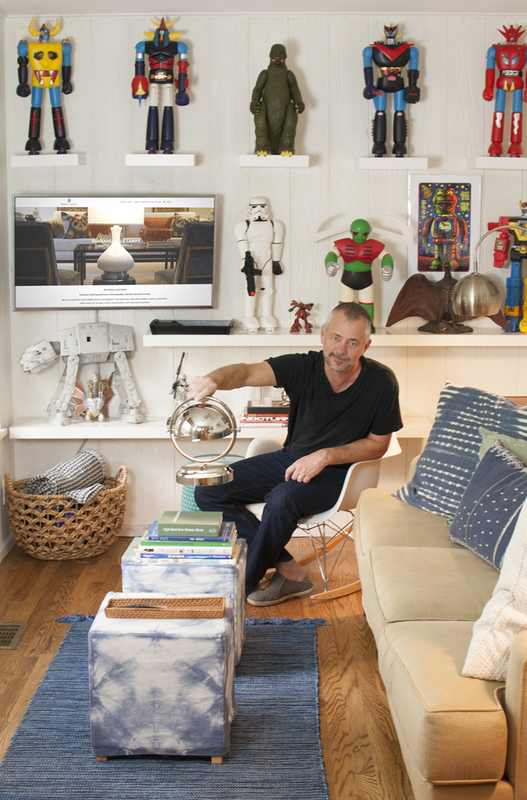 Some things my husband collected traveling overseas, some I found in antique stores and estate sales and we love our artwork, which for the most part are originals. 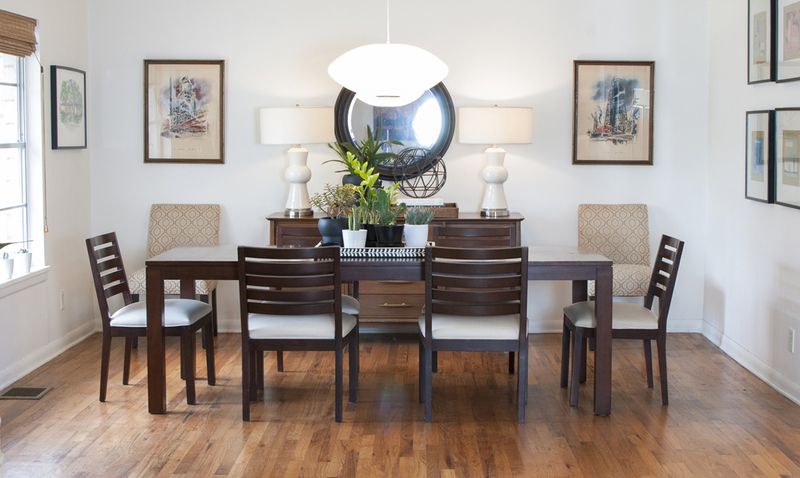 Jacquin: What is your favorite Modern Lantern lamp on the market currently? 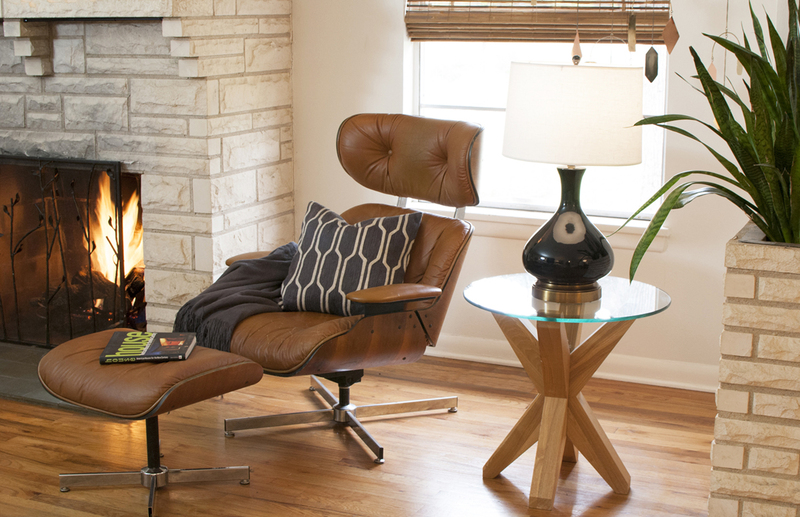 Stephen & Carrie: Our favorite is our Bartlett Cordless Lamp (shown below). They are pretty unique… for one they are rechargeable, but also important is our ceramic line of cordless lamps are made right here by hand in DFW. We work with a stoneware artisan in Dallas that makes the ceramic pots, all glazed at his facility, and then Stephen and our Shop manager, Clarisa, hand assemble and pack them all out of our shop here in Fort Worth. So we think they are pretty special. We do a few antique when we have time too on our Etsy page, ModernLanternVintage. Jacquin: Tell us about your favorite hobby when you aren’t working at Modern Lantern? Stephen & Carrie: We love the outdoors… love camping, entertaining friends and barbecuing, working in the yard, riding mountain bikes, and Stephen enjoys skateboarding with his buddies too. Jacquin: What is your favorite room in your home and how do you think it reflects YOU? Stephen & Carrie: Our favorite spot is our deck in our backyard. We wake up to coffee on a nice morning and then enjoy a beer or cocktail right there in the evening, after work. In short, we like to relax together, talk about the day (or the future) while staring at the birds and the mature trees on and around our property. We are pretty chill people. 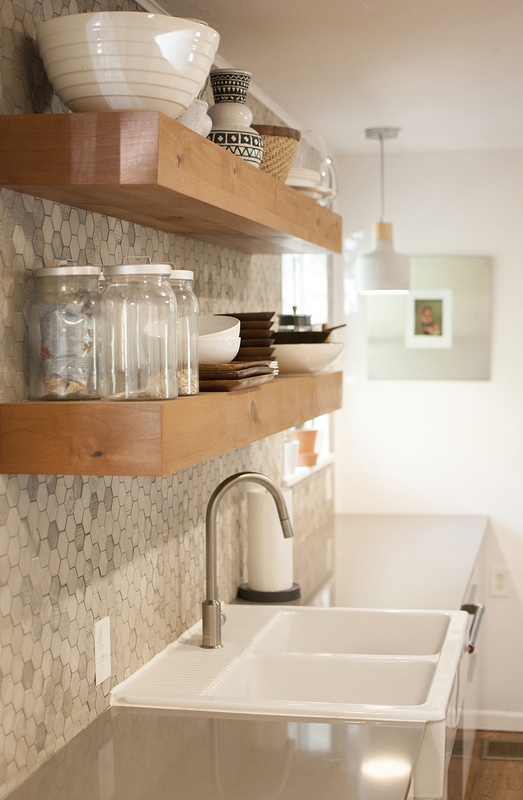 Visit Modern Lantern at their website at www.ModernLantern.com or follow them on Instagram.